All players tend to get tight at least occasionally when finishing sets and matches...Federer struggled big time with his forehand on break points against Tsitsipas... Serena's forehand became dodgy when nearing the finish against Pliskova...And Osaka became rattled when trying to finish Kvitova the first time. But the reason that Osaka is the now the clear #1 in women's tennis and Serena is the chaser again, is the contrasting ways they responded to getting tight. While Serena completely folded from 5-5 in the 3rd set, almost certainly acting based on the difficult match related thoughts that likely engulfed her in that moment...Osaka was incredibly skilled in recovering from faltering at the finish line in the 2nd to regain her composure and play an incredibly high level 3rd set to earn her 2nd Slam in a row. We want to let the player know that choking is common and natural so they don’t overreact to the experience. What kills players is getting caught up in the self-judgement following the choke, rather than getting back on the job ASAP.. 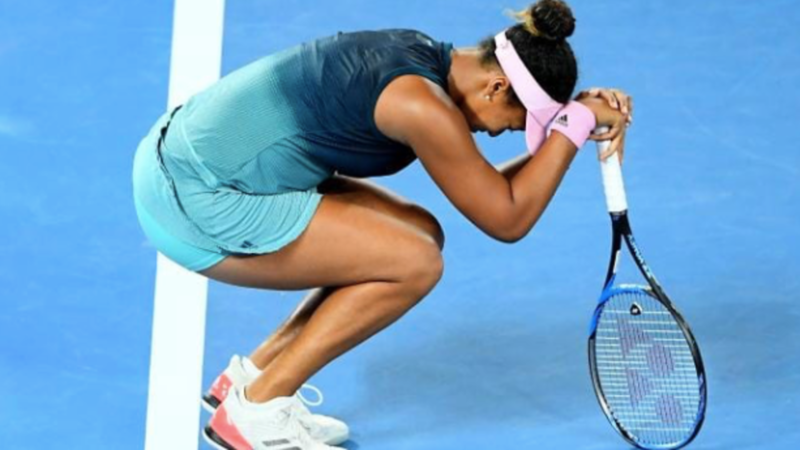 The key here is to encourage players to return to the job after the choke experience ends which will usually be when players lose the lead, by noticing the self judgement thoughts that show up (e.g., You idiot, you've messed it up, you're a choker), and recalibrating efforts to increase the chance of success again...this is where Osaka did amazingly well at the crucial time. When caught in helplessness, players tend to reduce effort and problem solving attempts as they begin to act on the thoughts "there's nothing I can do" which show up when we're in a situation where we don't believe we can affect the outcome. Throughout the tournament this was a familiar theme for Nadal's opponents as his ultra aggressive approach and improved serving had many of them caught up in predicted certainty of impending defeat. What was shocking to watch was how Nadal himself became so rattled and caught up in helplessness when faced with superman Novak Djokovic in the final. I can't remember the last time I've seen Nadal act so helplessly and his comments post match reflected this. To help players respond to the difficult helpless thoughts when faced with a situation in which they don't think they can find a solution, the key once again is to foster their awareness of the thoughts "there's nothing I can do" (as opposed to not having these thoughts) so they are better placed to respond with helpful actions rather than automatic helplessness. When we are competing poorly, whether it be trying to finish a close match...having just choked...or playing someone who is dominating us...the reason is almost always related to acting based on the difficult match related thoughts that we are experiencing in the moment. Therefore, the crucial skill to improve is the ability to recognise these difficult thoughts in that moment (which gives us more choice in how we will respond), followed by shifting attention into the present and committing to a helpful action (e.g., a strategy) that increases the chance of success for the next point.